The emphasis in this course is on language skills. Students are encouraged to use relevant vocabulary, correct grammar, spelling and punctuation, and to demonstrate a sense of style and an awareness of audience in their use of language. Through reading, students will learn to understand and collate meanings, summarise, paraphrase, and understand how writers achieve effects. Through writing students will learn to articulate their own experience; express thought, feelings and imagined ideas clearly; order and present facts, ideas and opinions; understand and use vocabulary and register appropriate to audience and context; use grammatical structures, paragraphs, sentences, punctuation and spelling accurately and effectively. 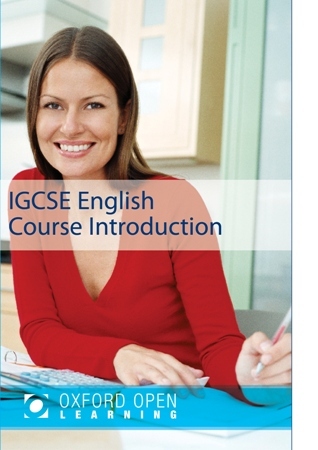 Oxford Open Learning’s English IGCSE course is designed to prepare students for the Edexcel Syllabus 4EA1. This syllabus is now examined under the new 9-1 grading system. This course is suitable for students who aim to continue their studies at a higher level (including AS or A Level), need an English language qualification to complement other subjects they are studying or need a final qualification in English language. 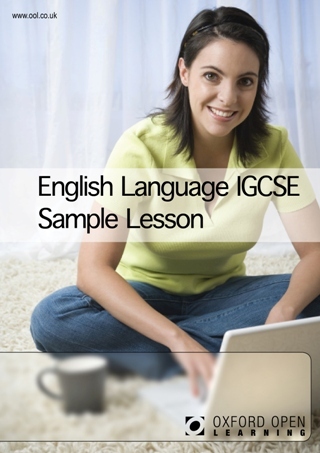 The English IGCSE is examined twice yearly, once in the Summer (May/June) and once in the Winter (January). In general it is harder to find an examination centre for the January examination series, so please discuss this with a Student Adviser if you are thinking of this option. Paper 1: Non-Fiction Texts and Transactional Writing (60%), 2 hours and 15 minutes. Paper 2: Poetry and Prose Texts and Imaginative Writing (40%), 1 hour and 30 minutes.